I'm back with another Owl's Brew Raddler drink recipe! This one has a little bit of a kick! 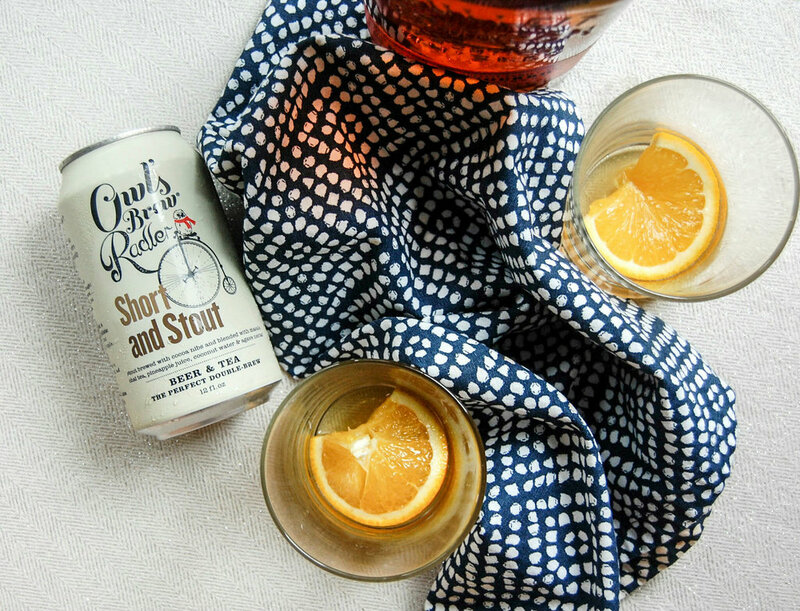 The raddler used in this recipe is a seasonal one called Short and Stout. The stout is blended with Chai spices, coconut and pineapple. YUM! I'm not sure if I've ever mentioned my beer preferences before but I'm a stout lover, and a chai lover so this flavor was made for me! You're probably like UGH she is using Bourbon again?! Let me tell you why though! 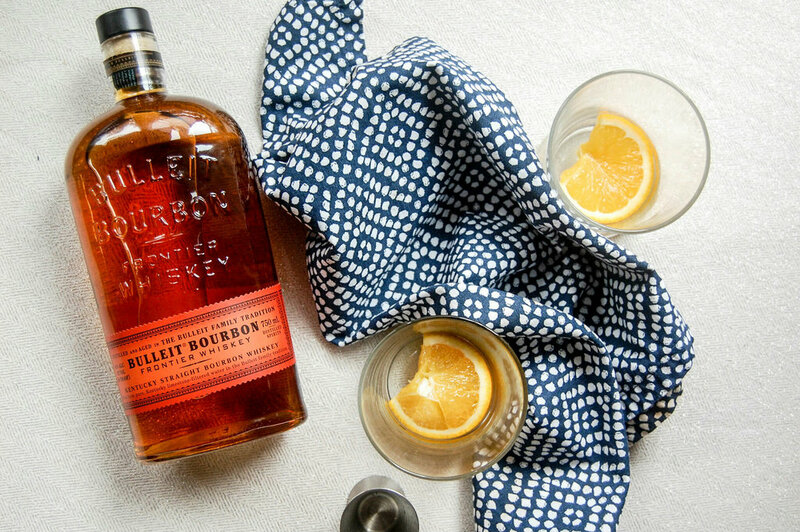 Besides being a total unabashed bourbon lover, it goes well with so many flavors! The spiciness of chai specifically goes well with bourbon in my experience. HERE'S THE MOST IMPORTANT PART! Take a spoon, muddler or whatever you can find and mash that orange and bourbon together!!! Not only are you mixing the flavors but the pulp gives the drink an extra punch and more texture. 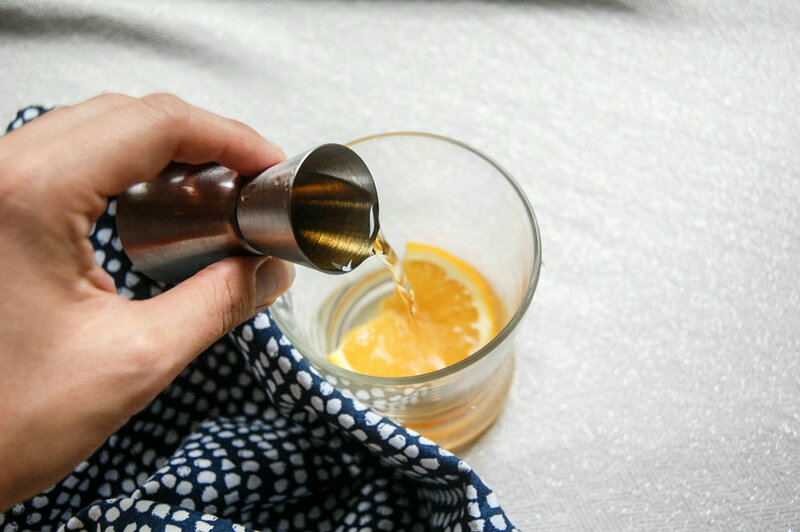 An orange garnish is perfect for any orange lover who wants to squeeze a little extra juice in their drink. All these flavors go really well together and the bourbon gives it a kick! When Mr. Tea Thoughts tried it he said, " It tastes like fall in a cup!" Enjoy your orange chai bourbon fall in a cup!